Bentley's CEO To Be Replaced By A Guy From Jaguar Land Rover? 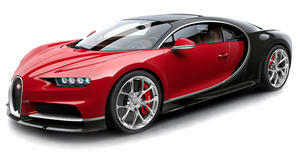 Will he step down from Bugatti, too? The rumors continue. A few weeks ago we heard that Bentley and Bugatti CEO Wolfgang Duerheimer was on his way out, meaning he’d like to retire. Parent company Volkswagen Group doesn’t want him to go, given the tremendous success he’s brought to both brands, as well as previous stints at Audi and Porsche. Automotive News has an updated report, originally from Germany’s Manager Magazin, claiming that Duerheimer is planning to step down from Bentley and will be replaced by Adrian Hallmark, currently head of strategy at Jaguar Land Rover. The earlier report indicated that if Duerheimer were to step aside from his Bugatti duties as well, current Audi Sport CEO and former Lamborghini chief, Stephan Winkelmann, would take his place. We asked a Bugatti PR woman about this rumor at Frankfurt earlier this month and, not surprisingly, she didn’t have a clue what we were talking about. But with this latest report, something is clearly happening. Duerheimer may possibly only leave Bentley, which he’s successfully ran since 2014, and stay with Bugatti for the time being. Or, he may stay on with both or leave VW Group entirely. It makes sense the German automaker continues to decline comment on this matter. Bentley in particular has been one of VW Group’s shining jewels in recent years, especially once Duerheimer took the reins. 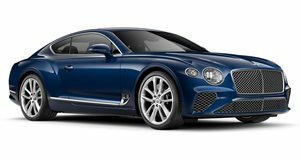 With the launch of the redesigned Continental GT in progress and the Chiron now in production, Duerheimer may feel it’s a good time to part ways. We previously learned that VW management would like for him to remain, at least at his Bentley post, through the launch of the Continental GTC cabrio, which is another year or so away. In any case, it looks like a change in command is happening to two of VW’s most exclusive brands, and selecting replacements is not an easy task. If the Hallmark-Bentley rumor turns out to be true, then that brand’s future will continue to look bright. As for Bugatti, Winkelmann would be a good fit, but he only just arrived at Audi Sport, and we’re not sure he’d want to change jobs yet again.